To celebrate National Tile Week, we're launching the fabulous new [Ted Baker tile collection] to help make your home a more fashionable place to live. In this blog post we'll also be finding out more about National Tile Week and giving you the chance to win a Ted Baker goody bag. 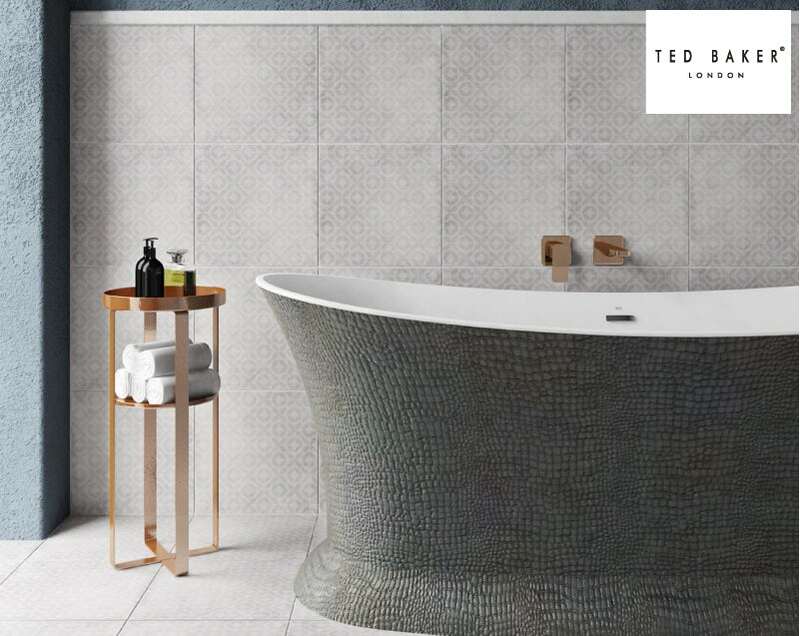 Ted Baker is a name that is synonymous with style and clothing, however, the reason Ted expanded into tiles is an interesting one. 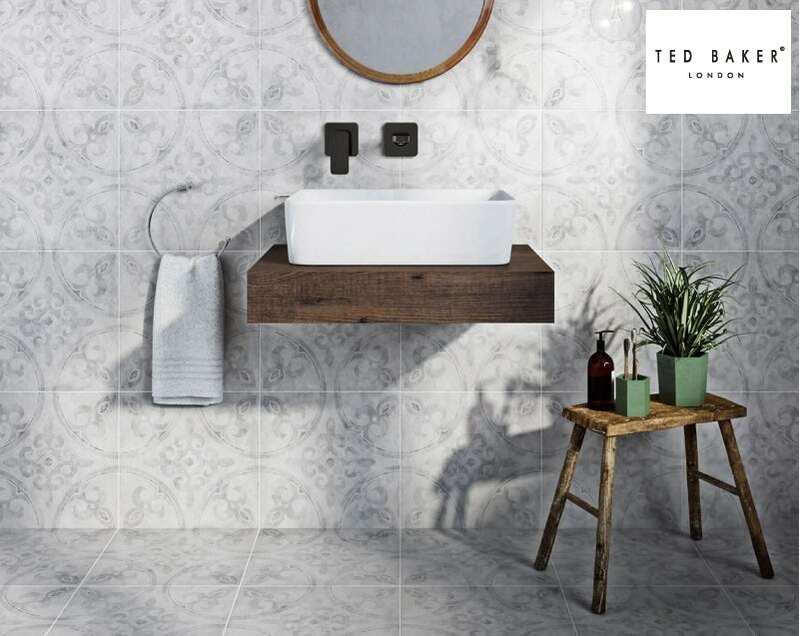 Realising that a shirt fitted with ceramic tiles might be a little stiff for the man about town, Ted set about creating a range of tiles that could decorate the home instead. Collaborating with British Ceramic Tile, each stylish range in the sTile collection is lovingly crafted to ensure your house is always a home. 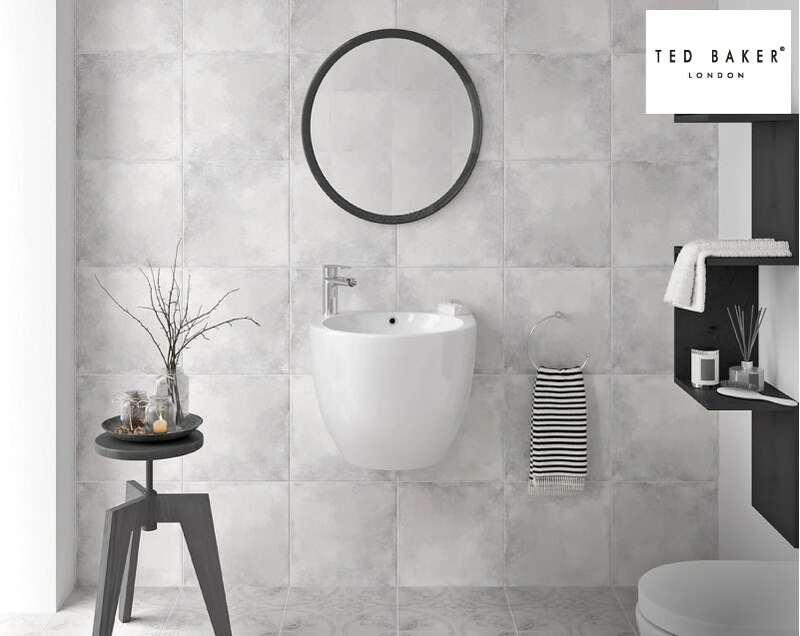 From the eye-catching GeoTile to the multi-use VersaTile, each design combines Ted’s eye for detail with his appreciation for tiles with style. Let's take a look at this new tile collection in greater depth. VersaTile by name, versatile by nature. Designed to complement all of Ted's tiles, these porcelain designs can be used in a number of ways—hence the name! Different shades of grey and white in a matt finish combine to highlight patterns and create borders. You can even use them on their own for a minimalist look. Simple yet stylish, the VersaTile collection from Ted Baker is certainly no ordinary range of tiles. Great for: Colour blocking in minimalist style bathrooms. These gorgeous tiles are based on 2 of Ted's own print and texture designs. Crafted through a combination of 2 quite complex manufacturing techniques, they have been inspired by simple Moroccan interiors to bring a stylish and refreshing element to your decor. A true minimalist look can be achieved with the Geometric collection. Great for: Creating an authentic feel in Arabian style bathrooms. 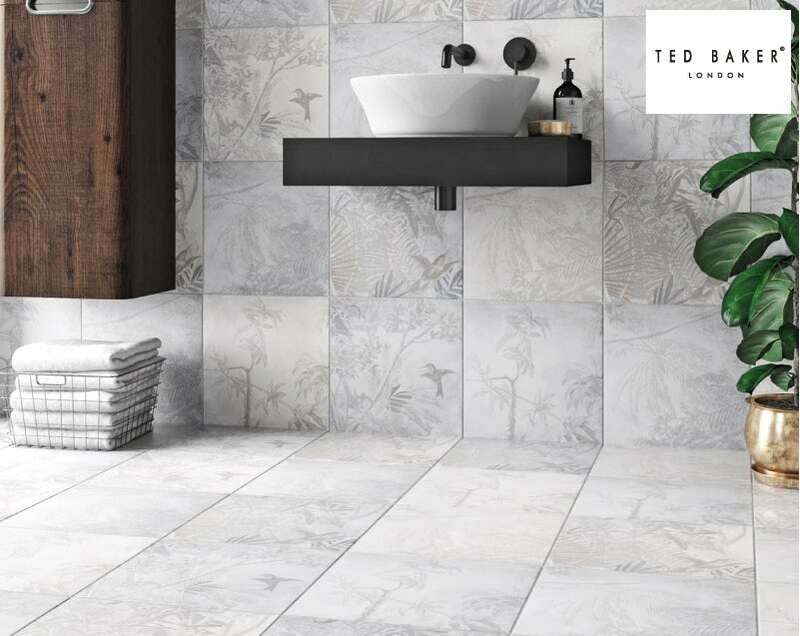 Based on Ted's popular Paradise print, these beautiful tiles come in a subtle shade of grey, helping to create cool and calming interiors in your home. Supplied in a pack of 9, these tonal tiles can be used to create a patchwork effect on your walls and floors. Some of the tiles even have an added lustre effect, catching the light perfectly for a delightfully surprising experience. Great for: Creating a backdrop in tropical bathrooms. Featuring a charm that is almost rustic, these grey matt tiles come with a classic rococo pattern. Each pack of 9 contains a random assortment of 4 subtle varied designs, each one ever so slightly different to the others, for a genuine, handmade feel. Equally at home on walls or floors, Partridge tiles from Ted Baker are guaranteed to please. Inspired by those gorgeous Edwardian tiles that lead up to the front doors of London's most fashionable townhouses, these retro style tiles will make a real statement in your home. Sleek tonal grey combined with Ted's favourite geometric prints, make these tiles the perfect choice for walls and floors. Featuring 12 different geometric designs, 24 tiles supplied per pack, 2 of each design, you can mix and match for a look that is truly unique. GeoTile can even be used outdoors—perfect if you're looking to extend your theme to an exterior surface. Great for: Feature floors in new retro bathrooms. Been inspired by these fabulous new tiles? 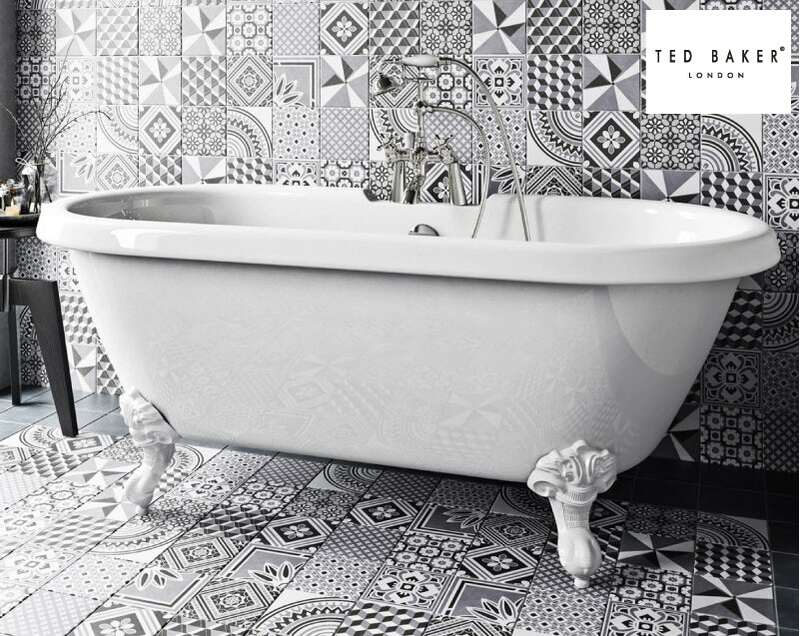 [Shop Ted Baker tiles] online today and create a bathroom that is truly on-trend. What is National Tile Week? 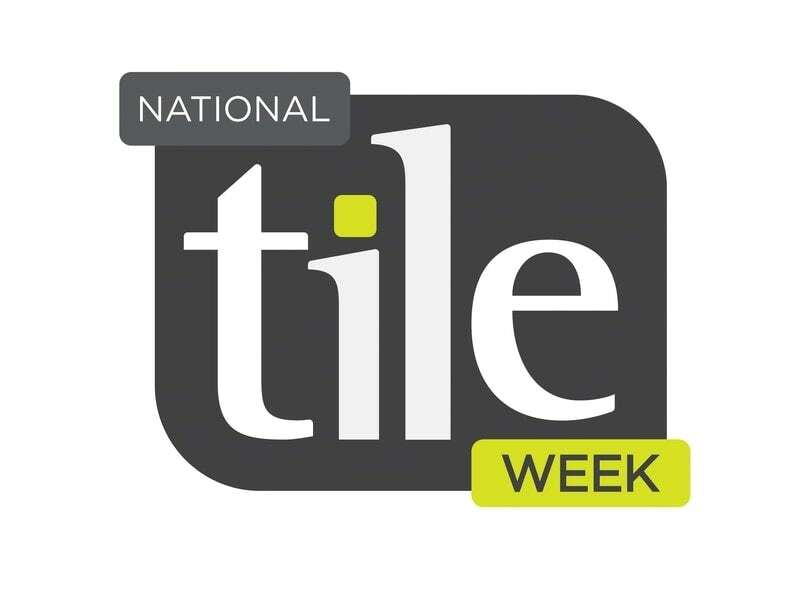 Now in its third successive year, National Tile Week is an annual event that takes place each April. Running from Monday 9th April until Sunday 15th April 2018, this week-long campaign is a celebration of everything to do with tiles, inspiring homeowners to take on their own DIY projects and use tiles in more imaginative ways. Discover more about National Tile Week. 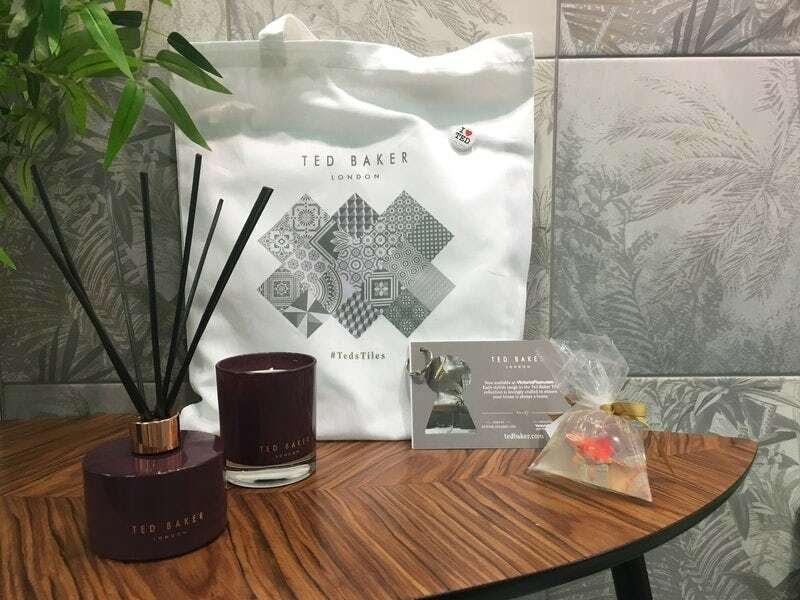 To celebrate both National Tile Week and this fantastic new tile collection, we're giving away 20 Ted Baker goody bags (pictured below), including a room diffuser, candle, soap and a few other goodies. Name one of the Ted Baker tile ranges mentioned in this blog. Simply leave your reply in the comments section. Winners will be selected at random on Monday 23rd April. If you're looking for tiles for your home, we've got it covered. Browse our gallery for inspiration. From a High Street name that is synonymous with style, we're proud to introduce our new Laura Ashley range of kitchen and bathroom tiles. Which is your favourite? Looking for bathroom tiles ideas? Why not try these on for size?